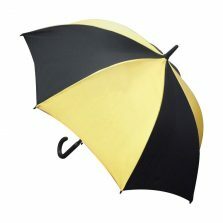 Don’t forget the wedding brollies! 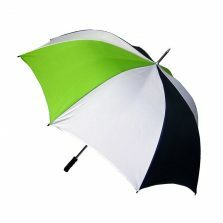 Customised wedding umbrellas for that special day can be an essential item. You absolutely cannot afford to let the weather ruin all that planning and hard work. 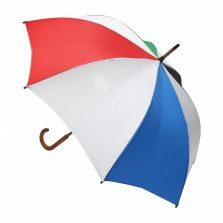 Why not consider some custom wedding umbrellas to match your overall wedding colour theme or a customised wedding umbrella to go with that special outfit? Custom designed wedding parasols can actually look pretty smart in your photo shots. 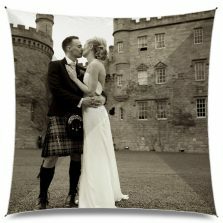 We have plenty of traditional wedding colours to choose from - white, cream, ivory, beige, grey, black etc. But, we also have lots of nice bright colours if that's the style of wedding you're going for. Custom wedding umbrellas from over 50 different available panel colours and over 20 different handles - with some of our custom wedding parasols you can even choose from two different canopy sizes. Our pricing is structured to reduce, the more you buy. 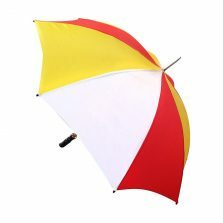 Create your special bespoke wedding parasols by selecting one of the different umbrella frames available - we have 5 different golf style and walking style customised wedding umbrella frames all of which can be customized with over 400 different canopy panel colour variations! 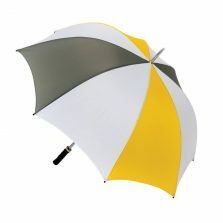 Make your panel colour selection, choose your handle and canopy size (where applicable) and proceed to the checkout where you can place your order for your very own custom wedding umbrellas. We will then schedule your custom wedding parasols for production in our UK umbrella factory where they will be bespoke manufactured to your requirements and despatched to you normally just a few weeks later.